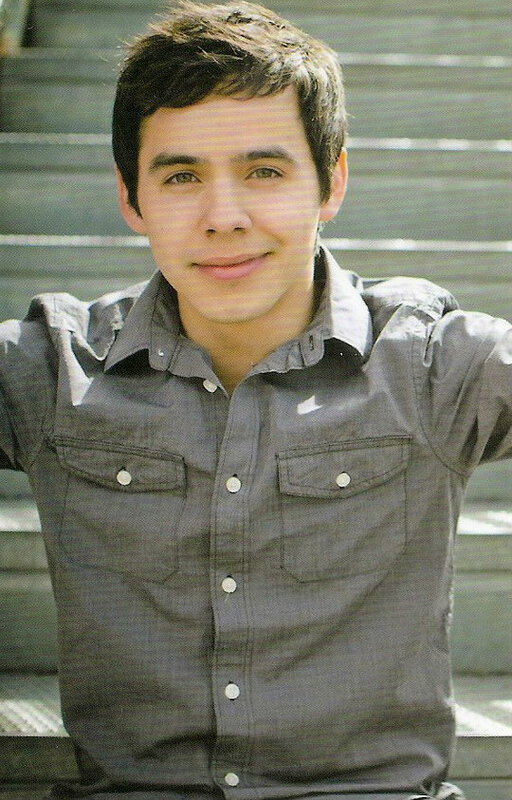 This entry was posted on Monday, June 27, 2011 at 1:37 AM	and is filed under David Archuleta, Men's apparel, poll. 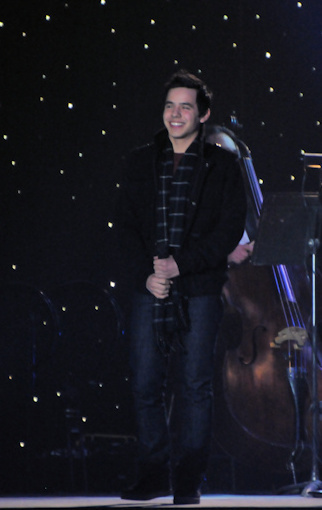 Tagged: David Archuleta, every girl's crazy 'bout a sharp dressed man, It's all good. You can follow any responses to this entry through the RSS 2.0 feed. You can leave a response, or trackback from your own site. MT Yes Yes! Great fun waking up to this article.David is so much fun to dress! With his slim boyish figure he can really dress to kill, and he does kill in that last outfit! Have to vote for that one.He looks gorgeous, and “put together”from the top to bottom. I love David in saturated colors too. That blue t-shirt for example!) I like the rounded neck as opposed to the v-neck too. boy,would be easy to talk about this forever.I keep getting sidetracked with all the looks in the sidebar too. 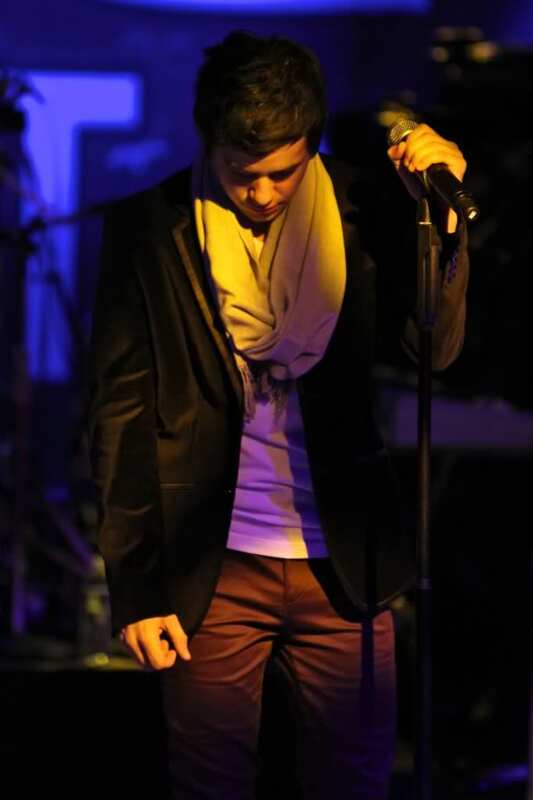 I am just glad he doesn’t like baggy jeans and shirts that come down to his knees on stage. (or anywhere)Whatever he chooses to make his style.. all I can say is “fitted” David. Think “fitted”! I voted for #1 because the t shirt fits him so nicely & the jeans are well….they’re as flattering as can be! I like # 7 a lot too. He looks so handsome in that sport coat. Love the hair too. The MJ style jacket is nice but it doesn’t fit properly. Too big. I think David does need a little help from a stylist. His photo shoot for TOSOD was good because everything he wore looked great on him. But who am I kidding. It’sDavid. Actually I hardly notice what he’s wearing because I’m always looking at his face. Somethin’ ’bout that beautiful face! I like no.7 casual,neat and a relaxed look, also like the hair brushed off the face it does make him look more mature. After giving it a lot of thought (LOL) I chose the first picture. David rocked that crowd in Wichita and the energy was undeniable. I’m sure it was 99% because of his performance but I can bet that what he wore that night had something to do with it, too. I can not tell a lie. I voted for 1. But then I tried to vote for 7 too and it wouldn’t let me so I fixed that. 😉 It pays to be an admin. 8) So now you can vote for up to 3 at a pop and as many times as you like! I fixed the poll comment page so comments come here instead. sheesh…how’d that happen? Thanks MT for a fun way to start off the week leading up to SOF! I think he has a pretty good sense of style but doesn’t always use it to the best effect. I mean he wore scarves for pete’s sake and made that work for him. Memo to David: Do you see any plaid or graphic tees in this poll? Alright then. My reasons for picking 7 are obvious. As MT says it has endless possibilities and is gorgeous. Plus, can you just see him stomping them roses on stage with those boots? My reasons for picking 1? Three words: Wichita, Grand Rapids. Gone shopping. Y’all have a great day! Really glad you brought this up. Btw, I kept going up and down this article several times ummm looking at the pictures, umm yeh like I said several times, as I couldn’t make up my mind. I finally did vote for the last one but I think I was influenced by The Hair. So I made myself vote for #7. 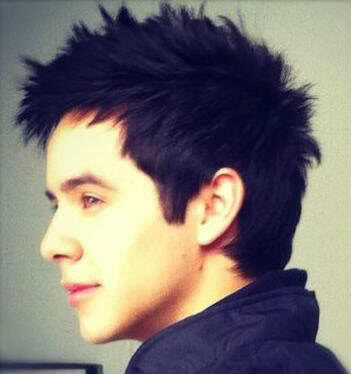 Love David in black and white. I’m thinking of the pictures that may have been the finale. Gotta say I it all also depends upon the venue and occasion. I like to see him wearing the right colors and color combinations but, BUT COME ON with his voice and that face everything else almost fades into the background. I especially like the New Year’s Eve outfit too..just about fell off my couch when I saw him that night! Everything about the performance was spot on! MT, Good one. As gorgeous as David is and for the most part he looks stunning in anything he wears I get that in some occasions a little more thought needs to be made depending on the event. 1 and 7 are a tie for me! So hard to choose just one. I’m with Ray here, choose?! just one?! Impossible. So thank you Angelica for letting us pick more than one lol. Number 2 is a great look, I also love the leather look for the AI Finale party and the No Air duet, very nice look. Ram, she’s guilty as charged! Like screaming fire in a theatre lol. Bringing this over from last thread because I think it was because it was beautifully said by Dak. Bebe, thanks for bringing over those comments. 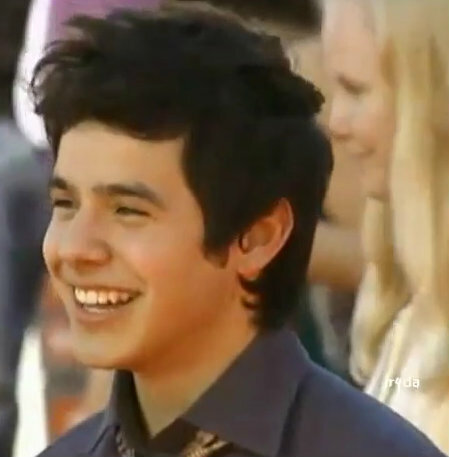 Was beginning to think all those gorgeous pics of David left everyone speechless. Lol And agreed, soooo hard too choose!! “Whatever he chooses to make his style.. all I can say is “fitted” David. Think “fitted”! lol I think we can all agree on that. As you can see, the last one if my favorite. But I like the fitted cotton shirt in pic 2 with the skinny tie too. Always did love that on him. And I love Pic 1 of course! So hard to choose. But yes, FITTED FTW! 3. Peg & Marylee, I love his hair like that, too!! Just gorgeous! Thanks for commenting. 15. LuvieD “I think David wears a “medium” but wears a “small” very nicely! !” 🙂 Agreed. Dja: So glad you liked the article. Lol Looks like 1 & 7 are winning so far. You know, as soon as I saw Pic #1, I wondered how long it would be before Grand Rapids Barriers made an appearance *cough*Angelica*cough*. That blue on blue combo makes him look taller. And trim. And really, really good…..Where was I? Oh–I vote for #7, however, because it’s a great look for college-age guys and suitable for occasions where he might want a slightly more mature/professional look. I’ve noticed that the young guys in our family don’t really settle into a look until they’ve achieved a certain amount of focus concerning their future, usually somewhere between 20 and 25/26. I do wish David would leave the graphic tees behind for public appearances. Fun topic, MT, but (whines) where are the vest pictures? I do like a man in a vest…. The New Year’s Eve outfit was awesome! I like #1,#2, Tight T-Shirts and fitted jeans FTW! The Jacket in #4 is way cool, the short sleeved shirts tucked in with skinny tie looks nice. I don’t care for the sweatshirts with the hoods for Concert’s, they make him look too young and way too casual looking. The boots in the last picture are cool, but he seems to wear tennis shoes all the time! I would also like him to look less nerdy looking, just as his hair starts to look nice he gets it cut again. If he would let it grow just a bit longer, he would have more style and look a little older! #5, Bebe, now that is a jacket to love!! he looked so good New Years Eve! really sharp. 2. Annie, thanks for commenting! And, I agree. Although the color is just FABULOUS on him, the MJ jacket is a little too large for him. I have to say again how much I love that look in the pic at #5. For outdoor concerts in the cold? That would be my choice. 24. Lurker, thanks for commenting! I agree about the jacket in #4. I just worry it would be sooo warm on stage, just like the pic at comment #5. But look good on him? Oh yeahhhh! LOL Awww, sorry we left that out. I know what you mean, though. I like a man in a vest, too. I responded to dakgal in the last thread in hopes of presenting some balance that would give some perspective. Here is a link to download this amazing video by michelinamarie. She has not uploaded it to youtube, but gave a link to download it. Its a must for every fan’s video library! 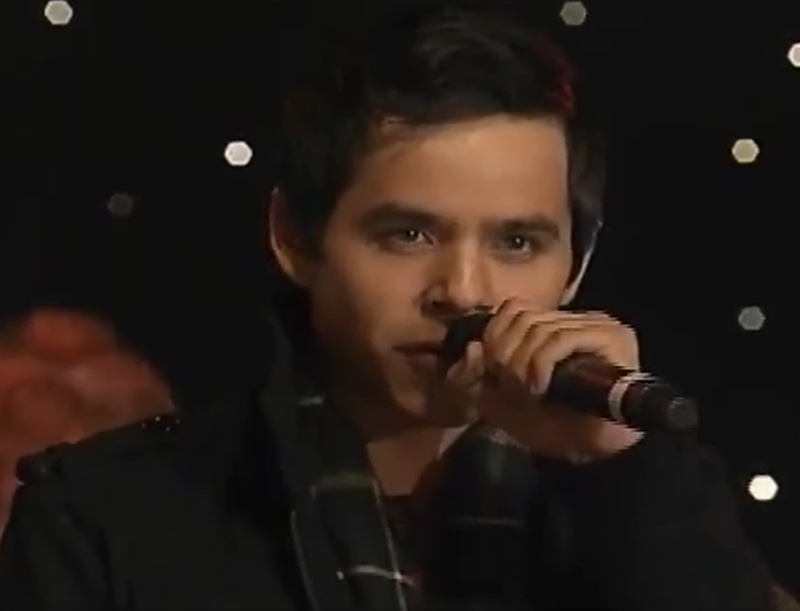 I have a hard time concentrating on David’s outfit when I get lost in THAT voice and THOSE eyes! My sincere thanks for allowing us more than one choice. After much pondering, I am leaning towards 1, 4, (although, the jacket needed tailoring!) 6, and then ending with #7 being one of my favorite “more mature” looks. My only critique would be: whatever he is wearing should fit and be ironed! In total agreement that it’s time to put away the “teenage clothes” and bust out the “up and coming hot artist “wardrobe. I chose #1 as a good example of dressing for the occasion. This was a concert with other artists on the bill. So David was not the prime focus, but one of many to appear. The belt was just the right touch. A statement that he cared how he looked. I chose #6 next. This is about as perfect an outfit that he could wear as well as the one Bebe posted in #5.. The skinny tie with a button shirt under a well fitting leather jacket. Very nice for headlining in his concerts. He usually wears shoes that match his look, so I can’t complain there. #6 shows that with the help of a stylist, he will benefit in looking his best. Fit is vital. You can wear the best outfit, but if it its too long in the sleeve or pant leg, the look is lost. The sleeves in #4 were too long. It was a great coat,but lacked a good fit on David. in #5 the pants were too long, bunching up at the bottom. Realizing that he is short in stature, paying the right clothes stylist is money well spent to assure the proper fit. He looked amazing in the REAL shirt, totally fit right in with what he was performing. And the total package in ALMA Awards show was perfection. Because of my young ( cough) age, I’m about as far removed from deciding what a 20 yr. old what to wear as you can get. Ever tried buying your 14 to 24 yr. old grandchildren a Xmas gift of clothes? I can guarantee you they won’t like it. The MJ look doesn’t work on him–and I’m not a big fan of scarves–they are too distracting from him ( they either come unwound from his neck or are just plain in the way. Now I’m off to take a anti-crabby pill. Because of my young ( cough) age, I’m about as far removed as you can get from telling a 20 yr. old what to wear. Make more sense?? Guess my brain is fried today. I went with number one. He looks good in jeans and a t-shirt, especially when they fit like that, lol. He looks his age in the first one. I was kind of torn between 1 and 2 cuz I like the skinny tie with the plaid shirt, but the jeans in first one did it for me. Whew-wee, what’s not to like about that last pic? (album cover) Good lawd! He’s H.O.T. with that look and he’d be extra H.O.T. on stage. You are right, the brushed back hair makes him look older and the jacket…well. yeah, he can take it off and the ladies will LIKE that, too! 🙂 What he wears BEST is his SMILE! dakgal ~ ROFL! Dennis the Menace! You are so right. I couldn’t really put my finger on why I didn’t like the striped t’s but you said it. Thank you. Great article MT…I’ve been secretly hoping that the only thing David kept from his Jive/WEG days is the stylist! Guess he didn’t 😦 I too think he needs a “look” and stay with it, except w/ minor changes when the occasion calls for something different. Hate the unzipped hoodies..and tired of the Member’s Only jacket (screams ’80s) lol I picked #7 as well, but also like buttondown shirt w/ skinny tie (or one of my fave outfits was the Richmond solo tour black buttondown shirt w/ rolled up sleeves). He should definitely step it up when performing the NA when it’s televised. Bottom line, I guess when we know what direction his songs are going, that might define what the look should be. 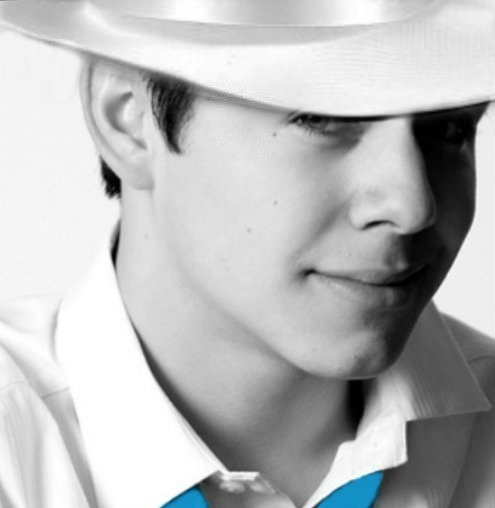 But David PLEASE change your Twitter pic!!! 🙂 Jeez I sound negative…sorry afterall it is all about “the voice”…just want non fans to take him seriously. Thanks for all the great comments guys. It’s not easy picking a favorite is it? It’s like Lays potato chips, you can’t pick just one! Have you guys ever noticed that your behavior changes a little with your change of outfits? When I’m dressed for work, it puts me in the right frame of mind and reminds me to be professional in all my actions. Being dressed for success gives you that extra boost of confidence that is translated to those you come in contact with. That first pic? – I think he gave one of his best performances wearing that one. Oh, a P.S. on my last comment. I didn’t mean vocally. Nothing could change the magic he creates with his voice. I meant, could outfits affect his level of confidence, his demeanor on stage? I’m leaning to #7–I just really like the Tee/Jacket look on younger guys. I would like to see David get away from ANY graphic T’s! They are just too juvenile. (imho) It will be interesting to see what he comes up with at SOF–the temps are supposed to be in the mid 80’s. Abrra—> “That which does not kill us makes us stronger. Friedrich Nietzsche THANKS, I needed that! I spent the weekend with an 8-yo grandson, 2 6-yo gdaughters (they changed clothes about 200 times per day), a 4-yo grandson (100% ADHD) and 2 2-yo grandsons, and their parents. Hubby and I are sooo glad to be home and they are with their parents!! Love ’em, but was glad to leave ’em. And, so glad to be back to this quiet (?) spot. btw– loved the last post– ND is a long time favorite! Case in point…the clothes he wore at the Wichita show as seen in picture 1 were very current and made him look like a rockstar. 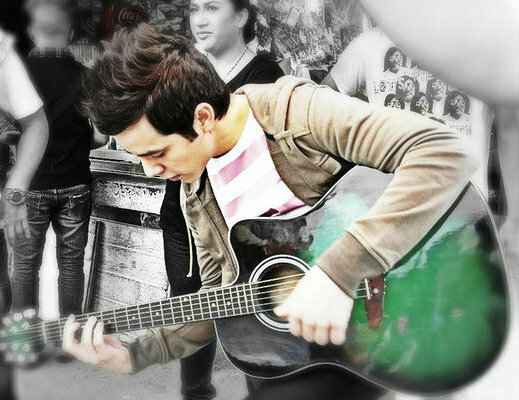 If you watch his performances from Wichita on youtube, you’ll see that he commanded that stage just like a rockstar. This just in from Sony Malaysia, there will be a re-release of TOSOD with five brand new songs! It’s the Asia Tour Edition of TOSOD. No wonder David has been so busy recording new songs! Now to figure out how to get our hands on them! Your chance to attend the Sound Check Party and more! Get ready for the ultimate fan experience because the VVIP tickets for David Archuleta “The Other Side of Down Tour” Live in Malaysia now comes with the Sound Check Party pass!! That’s right, Archangels! You get to watch David on stage doing his sound check before his concert and also a chance for an intimate fans Q&A session. The VVIP ticket entitles you to premiums like T-Shirt, poster, the Asian Tour Edition of The Other Side of Down album and not forgetting the Sound Check Party pass! So hurry, there’s only limited places available for the Sound Check party. To purchase the VVIP tickets only, kindly call Sony Music’s office at 03- 6207 9898 and ask for Sue, Joanne Wong or Ms. Sing. If you’ve already bought the VVIP ticket and would like to be upgraded in order to get the Sound Check Party pass, kindly contact us soonest possible. Also if you’ve read the above correctly, yes there will be a new album release entitled The Other Side of Down: Asian Tour Edition album. Releasing on the 19th of July, the CD+DVD album includes 5 brand new songs on top of the original track list of The Other Side of Down inclusive of a lyrics booklet for only RM49.90. 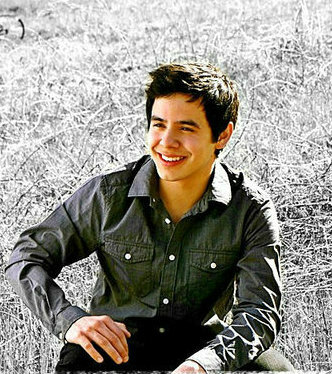 As for the DVD portion of the album, it includes 4 karaoke videos for you to sing along to your favourite David Archuleta song. So be sure to get a copy of the album this coming July. Other ticket pricing is at RM300 for VIP, RM230 and RM190 for numbered seating, and RM150 and RM90 for free seating (All prices shown excludes RM3 ticket handling fees). Tickets are also made available through Ticket Charge (www.ticketcharge.com.my) and AirAsia RedTix outlets (www.AirAsiaRedTix.com). 40. Bebeeeee, your “case in point” you wrote my thoughts!!! TY That’s exactly what I meant. Does this mean I’m not crazy? Whooaa … Asian Tour Edition of The Other Side of Down with 5 new songs? Is it July 19th yet? I voted for #6 because I love love love Black leather jackets on men. I liked Elvis best when he wore his black leathers. That jacket in #6 fits David so well. He just looks great!!! We’ll keep everyone posted on how to get a copy of TOSOD Asian Tour Edition as the information becomes available. It seems David is always perfectly dressed for the more formal occasions, in part, because the clothes are taylored for him. I guess that’s the thing for me. David could wear a barrel and look amazing if it fit him well. Oh my,, that is quite a mental picture…. For concerts, #7 is my pick of the day; but I could pick #1 or maybe #2 on any other given day. He is working on more songs. Asian TOSOD is getting rerelease with 5 new songs! Are the new songs ones he is working on now or songs he wrote last year while working on the album? Will he perform them in Asia? Are any of these the song he was talking about releasing for the fans. Hmmm, he’s got me thinkin’ now. I chose #2 for summer concerts and # 6 for winter! Was so hard since he looks good in anything, so photogenic! Hope we can get those 5 new songs here in the states…so anxious to hear which ones they are. But it’s new music!!! I am for the fitted look as well, whether a tee as in #1 or a shirt (I loved the black shirt with the rolled sleeves that silverfox gave him.) I also loved the jacket over tee look in #7, (that was a fabulous photo shoot)! David also really rocks a vest or leather jacket and I like his dark jeans. He looked amazing at MoTab in a well tailored tux. David wears many looks really well and I think that tailoring is the key to looking his best in whatever outfit is appropriate for the occasion. The national anthem “outfit” with bagged out knees and sweatshirt was my least favorite. It looked like something he just threw on that morning. Maybe he thought he would be wearing a team shirt? Anyway, he is a simply gorgeous young man and I want people to appreciate just how great looking he is when they listen to that amazing voice. People are more likely to appreciate him and give him the respect he deserves if he looks sharp. He is the whole package, voice, looks, and an incredible human being. Exciting news about the new music! Hope it becomes available somehow here in the states. I chose number 7 all the way!…with the rest following in declining order: 2, 1, 6, 3, 5, and 4. I randomly thought of a few other outfits that I was impressed with over the past few years. Anything He wears for Matt Clayton! Motab, New Year’s Eve…OK, I’m going to stop now before I mention everything he’s ever worn!…because like so many have said, he really looks good in just about anything…t-shirt and jeans included! http://www.radio913.com/ This radio station says they are playing a new David song at 8am eastern time (that’s 8pm Singapore time) but I cannot get the Listen Live stream to work….. I am getting excited for Stadium of Fire concert!! I encourage everyone here to put it out to the Universe that we need video casters. As crappy as the MB one was, it had us squinting to see him and straining to hear him 😉 Good times! There should be a good signal for phonecasting out in the open on Saturday. Hoping for at least one new cover song. I doubt we will get any of the new songs as they are meant for Asian debut. The Asian tour edition Cd is a blessing to fans. 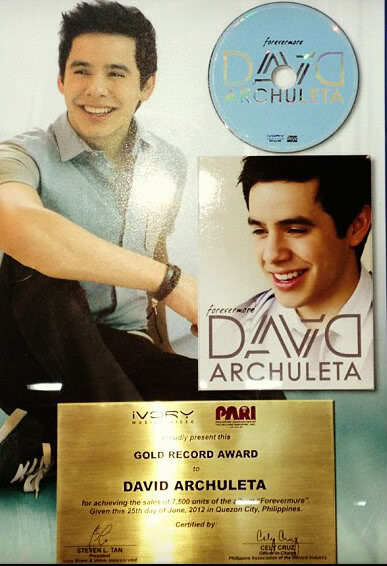 It shows that IT IS good music and someone took over the distribution and invested in David’s talent. The songs are all perfection IMHO. I am pleased as punch to know that it has support a year later. http://tunein.com/tuner/?StationId=14767&amp; This link is working for me! in 25 minutes! 52.Kaycee! 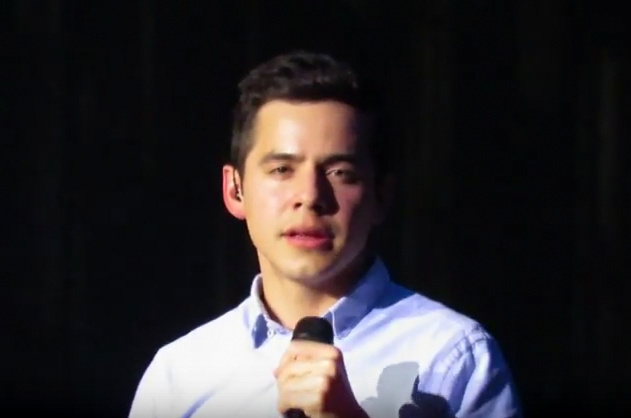 Last night I was thinking about a pic of David in white open collar dress shirt, black jacket,.hair gelled up and cut short, with head bent but giving this look up with his eyes. .Can’t find it, saw it in a fan video.but that is like looking for a needle in a haystack.I think it is this>>>>>>>”Cirque De Soleil show in Vegas during Idol when he had a “make-over” ” He looked so nice. Kinda reconsidering my vote for #7. The jacket could limit movement, and that is unacceptable. Oh yeah, New Years Eve, hip and classy, hair swept off his forehead, perfection. Kaycee, finale night Apologize, yes. Also the black pants and very brown shirt in the Hero duet, really liked that. FG, did they play David? Listening but I might have missed it. It’s a lovely, lovely love song. Thank you David! Beautiful song,voice Everything and More!!!!!!!!!!!!!!! Love it. Less production for the wind. Voice front and center. A Gem in the midst of all the noise we had to listen to before and after. I can’t imagine ….. This live is going to killllll us! I got to hear the song! Soo beautiful “Everything and More”! Love love love it! Surely, Sony knows we’re foaming at the mouth and need to be able to get this CD also. All I can say for now is huge smile and lots of goosebumps!!!! Great song and it has had a lot of views already! I had to keep tuning out the other songs on the radio, but it was worth the wait. wow i can not believe you guys found so quick about one of my secrets.. spoke to @DavidArchie and he said it’s ok for me to tell you. Just got the scoop on Samoa Artesian water. Sounds pretty cool! Got a bottle haha. At a Somoan market. It’s lovely and I really like the delicte ending. ♥ I can picture David singing this while standing at the mic with an angsty and pleading tone, the way he did with “Don’t Let Go.” (I loved the way he performed that one.) If he really puts his heart into it, this could really be something in concert. It will be amazing to have different material performed live, again. You can bet once his LIVE show videos hit youtube, I will put some nice Candy in the Jar. Can’t wait for SOF and Asian Tour! I listened to the song thanks to Bebe. She called me at work and I heard it in my headset plugged into my phone. My first reaction was it was in a similar vocal range as SBL and Elevator. I hope he can lower it a tad so he won’t strain his voice. After we heard the song we chatted a bit and she read random tweets of fans reaction. 1000% positive! Everything and More!!!!!!!!!! LOVE IT!!!!!!!! What a beautiful song! Hi all. Sneaking in while on vacation. Dislike the military jacket. Much. I agree. One song in this range would be no problem, but several of them in each concert he does could become a strain. Betsy, Hope you’re having a great time on vacation! The piano-laced tune finds David exercising the range of his golden voice; it’s silky and buttery throughout most of it, but he gets gorgeously belty by the end. Archie is also exercising his songwriter’s pen with “Everything And More.” He co-wrote the song with Grammy-winning songwriter Victoria Horn. I only heard the song in full one time. Time to go back for more. 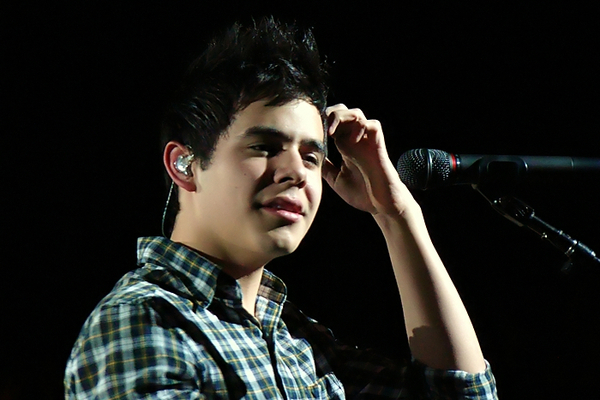 David could sing gibberish and I would love it because it’s not the song I hear, but his achingly beautiful voice. A lot of exciting things going on! Excited about Asia and figuring some more info out to let fans everywhere know more about news too! 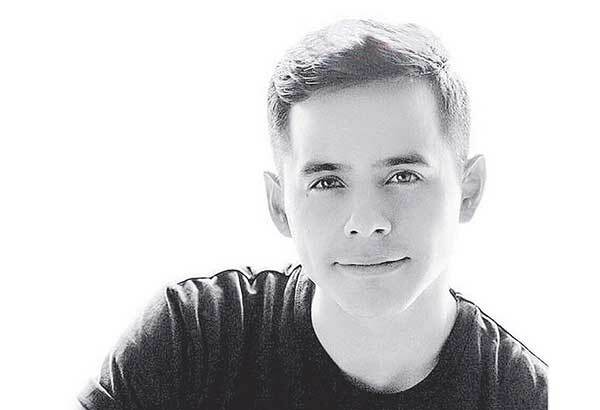 “In his first interview since David Archuleta and Jive Records parted ways in February, the 20-year-old singer told The Tribune that it was a mutual decision that he move on from Jive. He recorded three albums of the label: his self-titled 2007 debut, which reached as high as No. 2 on the Billboard charts and spawned the hit single “Crush”; his 2009 album, “Christmas From the Heart”; and 2010’s “The Other Side of Down,” which Billboard magazine reported in February has sold only 67,000 copies, compared to 765,000 for his first album. 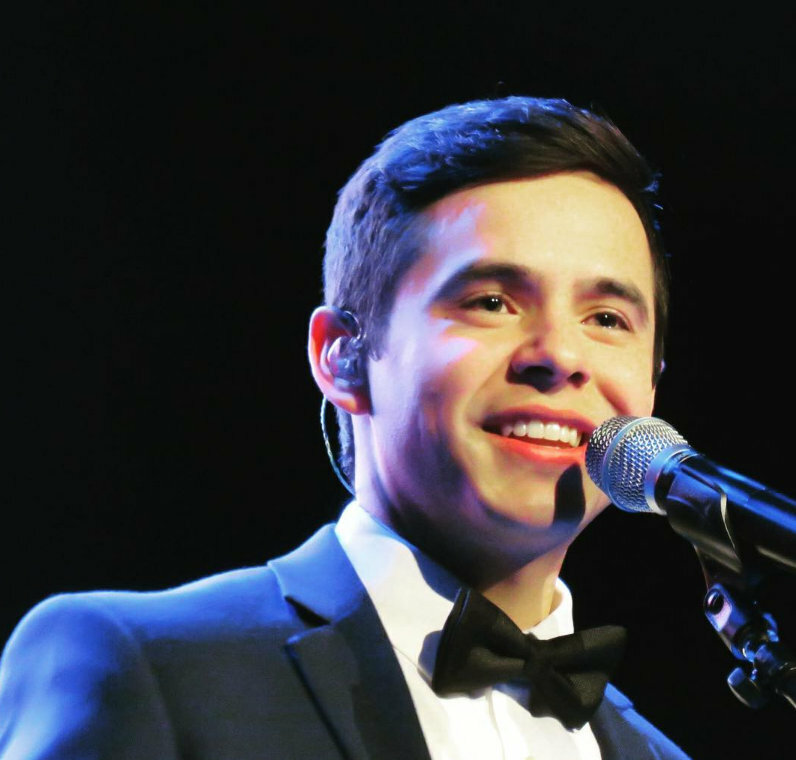 Archuleta said he is spending his time with family and friends — though he said “No” when asked if he had a significant other — and writing songs on the piano as he figures out when his path will take him. He still wants to pursue pop, but didn’t want to be a “classical pop singer.” He has been listening a lot to Adele and The Civil Wars, the latter a country-folk duo that includes former writing partner Joy Williams. EAM is what we’ve been waiting for and more…love it! I’m not crazy about this song–it’s way to high and doesn’t show case his strong vocal abilities at all–sounds like he is pushing or forcing it in some places .It shows good range, but I prefer him singing in a lower key. Sometimes I think–enough with the falsetto on a lot of the songs in TOSOD. The song is weak in some places that doesn’t fit in with the rest of it. I’d really like to see him tinker with this one cause it’s a good song. I’ll bet it would sound totally different and of course we all know it’s always better live! Can I still come home? And I love David to pieces!!! I agree that it’s a high but this a recording is from the TOSOD era and I’ll bet anything that EAM live is going to be ala MB, lower, richer, and full of “live” emotion. Getting the chills just thinking about it. I have refrained from commenting on the song because I totally agree with you. I just don’t like it very much. 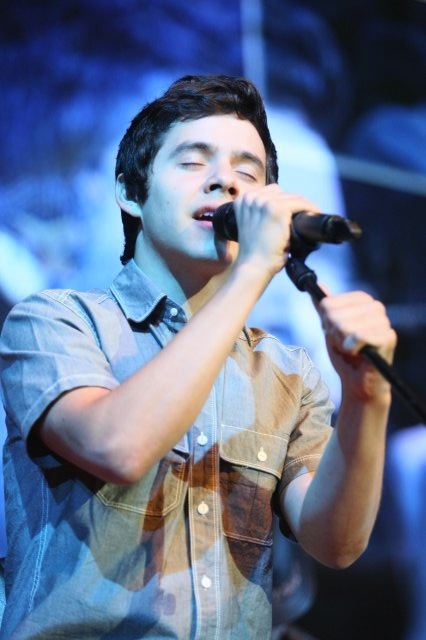 Too high when we know he is capable of such beautiful richness and depth with his voice. It has a country sound to it too which is OK if you like country. I don’t happen to but that’s just me. Also in answer to your #69…. The blue in the jacket you see in the mirror is an optical illusion. So is the reflection of the guy in the mirror. If he turned around, you would actually see the face of Vince Gill. You know the cold can make things delay, up here it can’t do any harm. Tear apart the weakest of hearts, up here you’ll be safe in my arms. Well don’t look down ’cause this is real. Nothing can touch us, we’re everything, we’re everything and more. Let’s try holding each other, found a love to last forever. The air is pure that we’re breathing. We’re something to believe in, ’cause I feel it’s where we both belong. Re: your answer to my question # 69—-All I can say is HUH????? the version I heard on the radio, the music is higher and his voice is lost, a little, but the version I heard on youtube, his voice is clear and I can understand every word, your voice is great. I heard several times and the difference is noticeable, I really like this song, it’s almost like a complaint. Thanks for the lyrics, dja! I just listened to it like five times, following the lyrics. There may be youtubes and links on the web to illegal downloads of David’s brand new song but in keeping with our strict policy regarding this issue, we will not be offering any here. Posting a youtube promotes the possibility of piracy via audio capture software. We are all for the live performance videos, but the purchased music put on youtube is not allowed. The Voice supports David and will post links to purchase the song either as a single, EP or the new TOSOD Asia Tour Edition when it becomes available. oh, the youtube video that was below my comment is no longer. Ok, anyway you can find it. Dak & Angelica, I understand what you mean. I’m kind of middle of the road. After several listens, I did like it better. It’s a sweet song and I do really like the ending. I don’t love the song, but I like it and I think it has the potential to be a good live performance song with a little tweaking from David to tone down some of the high notes. (if that can be done, not sure) Plus, I’m just a sucker for a love song. I love it when David pours his heart out on stage. For some reason, TOSOD has a few songs with a lot of high notes, and it looks like this song was written during that same era. It does make me wonder what the other 4 songs will be like. On my way out but wanted to stop & add my two cents about David’s new single “Everything & More”..the short & sweet of it ~I adore it with all my heart. The lyrics just spoke to me & I found myself playing it over & over again~no surprise! He’ll bring the house down with this one in concert. Goodnight everyone. I am going to borrow Dakgal’s padded outfit for this comment. Its something that really got me crazy today. Earlier I mentioned that Bebe called me so I could hear the new song as it was played on live streaming. Then she read random tweets. It wasn’t 2 min after the song finished and people were racing to put it on YouTube or Mediafire for ILLEGAL download. All this was announced by them on twitter. I want to say it made me sick to know that “fans” were so blatantly announcing in public, where David himself or his family could observe, links to download this song. After about 15min of frenzy, the tweets changed to ” Hey, what your are doing is hurting David’s sales” . I felt a small amount of relief that sanity had come back to the fan base. All I ask is a little discretion? I am sure most that did this will buy the music when it is available, but as the sales of TOSOD showed, many more did not buy. Buzzzz about the new song! 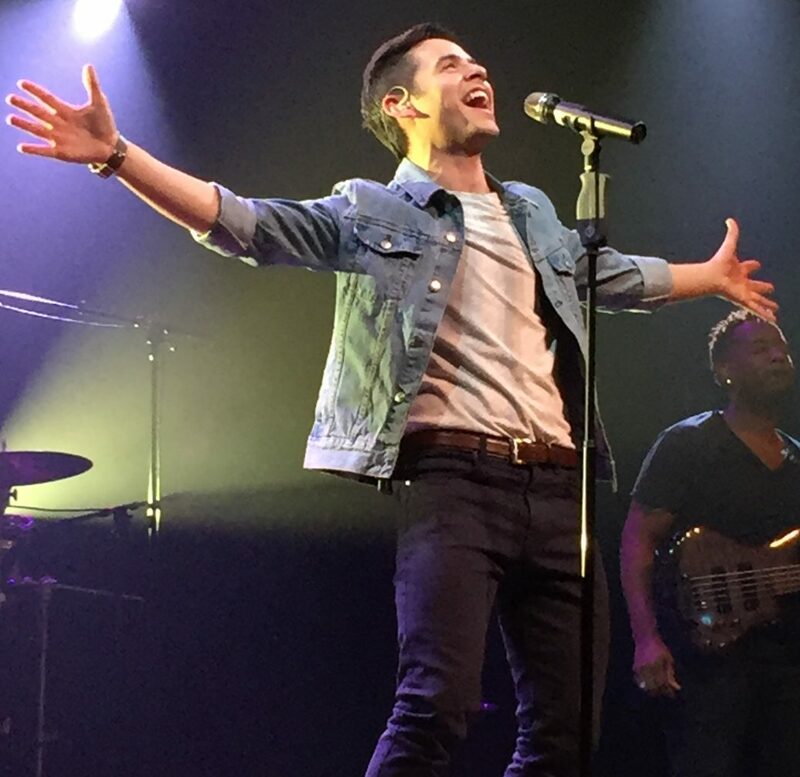 David Archuleta releases Everything And More! “Now this is a goddamn ballad! 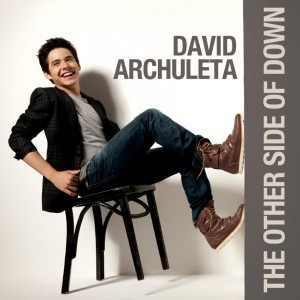 It has been a while since I´ve heard good music coming from an American Idol contestant but I´m pretty happy to say that David Archuleta should have won Season 7 of American Idol (ups, did I said that?… Yeah I did!). The more I play it, the more I like it. It kinda just takes me away. Would also love to hear it in a lower key. I miss that part of his singing, where his beautiful timbre just takes your breath away. “I want to do songs that are more vocally driven, so I can be emotional.”…now we’re talking baby! Thanks bebe, kinda love that buuzzzzz!! Like dja said, wait till we see this live!!! 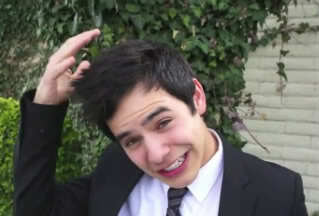 I really don’t get how anyone can do that and call themselves a fan of David’s.Some people are just stuck on stupid. I do like the song itself, but I have to say listening to it the first time, those high notes throughout kinda made my eyes water.whew! I also prefer David’s rich lower tones. EAM is nothing like what he’s been doing live lately (MB, Invisible Children-Nashville). IMO, this song could be for the younger audience. In which case, it’s really sweet. Dak, he has spoiled us, hasn’t he? As for dressing David. I really like #7, but I’ve always had a thing for him in ties, like at #2 and in the TMH video. It gives him a look both youthful, yet with a touch of maturity. He wears those little shirts like in #1 very well too (the peeking belt). Throw me in with the padded suit crowd. I like EAM, but I’m not crazy about it. I find myself waiting for his voice to crack on those high notes. I like the fact that Blackbird, GGTT, and EWTRTW are all sung in a more comfortable range for him, so I hope he is moving in that direction. Emme-“I miss that part of his singing, where his beautiful timbre just takes your breath away.” Yep, me too. Gayle-“IMO, this song could be for the younger audience. In which case, it’s really sweet.” I think you’re right. JR also mentioned somewhere that she thought this song would be huge with his Asian fans because it has the sound they love. Sky-“Some people are just stuck on stupid.” I’m still cleaning up the coffee I just spit out. Thanks for laugh! Unfortunately, what you said is true. as he tours, he will keep us as fans. Yes, he has lost some fans, but he still has a lot compared to many successful musicians that make a living by touring. Good day, everyone! I feel your pain. I’m familiar with the RIAA rules, having learned about them when I was a fan of other artists, pre-David. Some fans are not aware that it’s still a crime to download new music or that the artist loses money when this occurs. If it’s there for the taking, they assume it must be okay. Others are so excited to get David’s music that they’ll do anything to get it. What’s one little song? Then it’s one little album, then two then three. Nobody will find out, they think. But it absolutely shows up in low record sales as we’ve seen with TOSOD. Until music is handed out freely online or until the laws are enforced, there’s not much we can do about it except to support David’s music and keep our policy here at The Voice of not posting links to or mp3s of his new music. As for the new song, I like it. 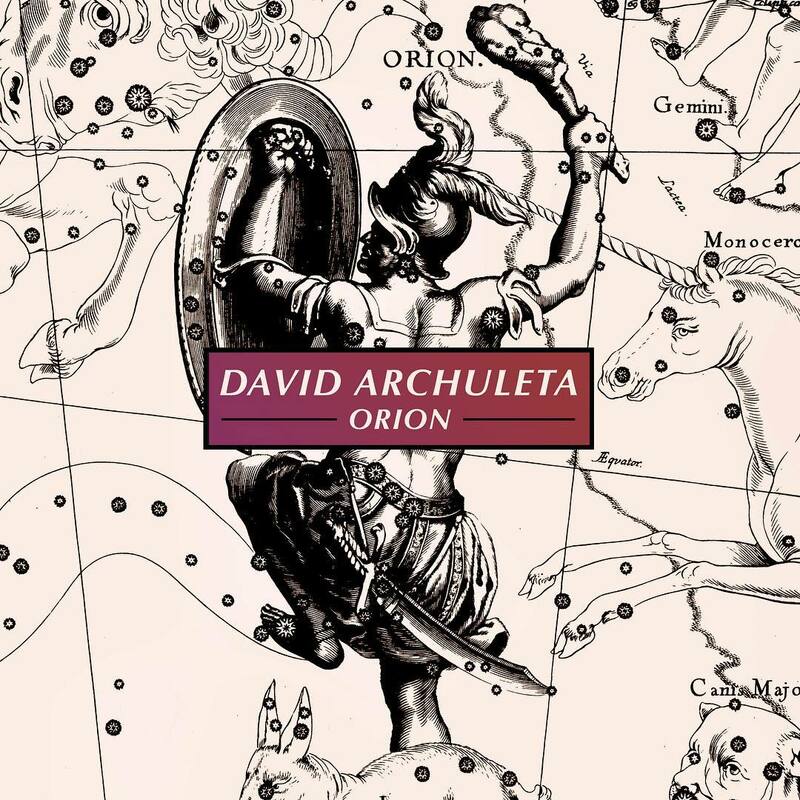 It’s not one of my favorite songs by David and for me, it doesn’t rate up there with Falling Stars or Good Place but I just like hearing David’s voice in any capacity. We all know he’s going to kill it when he sings it live. It will go through a metamorphosis and become another song entirely once he gets his vocal chops on it. It’s funny to visualize but nobody needs a padded outfit here. Please feel comfortable to say what you feel and let’s discuss. Admins.. thank you again for the download rule and thank you for the reminder. 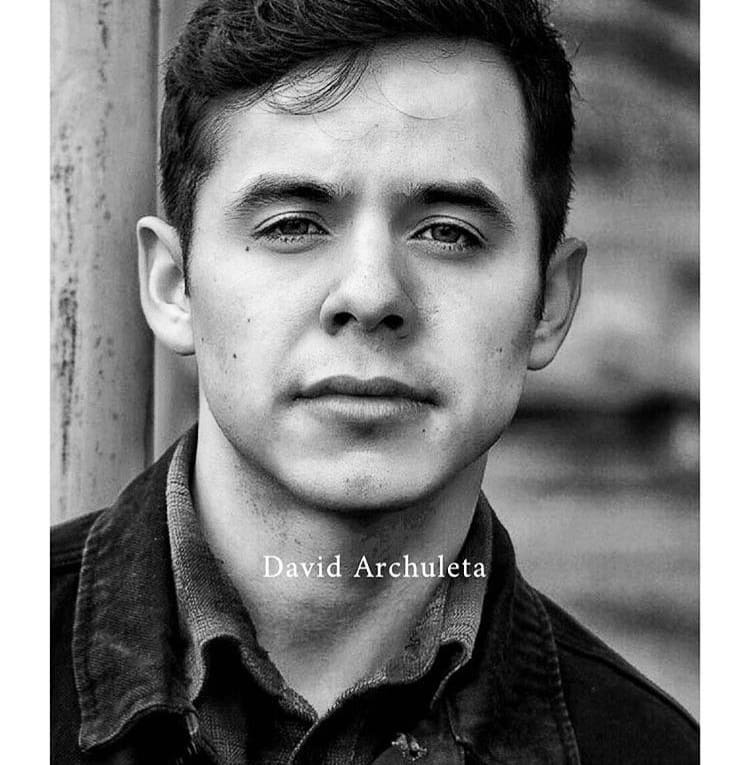 Not that we need the reminder, but it helps us to re-state who and what we are–Fans of David Archuleta who want nothing but the best for him and his career. I just hope that David will be able to release these new songs as singles here in this part of the world–even if they are only EP and not put in the stores (although that would be a good thing, imo). 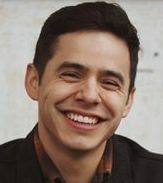 A few months after David Archuleta parted ways with Jive Records, a new song from the 2008 runner-up of “American Idol” landed online. Titled “Everything and More”, the track was reportedly co-penned by him with the help from Grammy-winning songwriter Victoria Horn. The sweet song recently made its debut on a radio station in Singapore. Coincidentally, Archie is getting ready to go to Asia for a series of live concerts next month. His stops include Indonesia, Philippines, Vietnam and Malaysia. The tune premiered on a radio station in Singapore on Tuesday, and thanks to the power of YouTube, fans all over can hear the new song, too. Although it’s not the best quality, you can hear that David is doing what he knows best: singing heartfelt ballads. The Miami native’s last single, ‘Falling Stars,’ was released on October 29, just a few weeks after his album, ‘The Other Side of Down,’ was unveiled. However, the 20-year-old parted ways with his record label and management in February, a decision, he says, was mutual. So far, so good, David. Listen to ‘Everything and More’ below and let us know what you think of the song in the comments. Dja, from the tweets, looks like he’s wrapping it up with the 5 songs we’re gonna get. Wonder what the others will sound like. Will they be previously recorded songs that were done for TOSOD or be his “new” sound? I’m wondering if they’ll match themes or tone with TOSOD or not. Whoa, sorry for that huge rambling comment! Too much David on the brain today. MT I love your random thoughts! I choose all you listed; love ballads, uptempo dance beat, reggae, bluesy, soulful, jazzy. David can do it all! Could it possibly one of the five? Wishful thinking. Tawna, Bebe, Remember the Sayerville performance of Barriers? That part where he giggles alwyas gets to me and makes me laugh with him. And he looked soooo good in that pink shirt and tie ♥ I wonder what happened to that shirt? I don’t remember ever seeing it again. 116. Kaycee, one of the 5? Now there’s a thought. I like that one. I’d like to hear David singing it one day. I had the afternoon off and I’m sitting here listening to David, new songs and old songs, getting excited for SOF this weekend!! I doubt he’ll perform any of the new ones this weekend, but you never know. Or we might get a new cover?? 116. Kaycee, …why does the tune Best Behavior make me think about “You’re Not a Very Good Liar”? listen to it again. am I way off here? I can’t understand the lyrics at all. The majority on the poll seem to like #7 with #1 coming in a close second. That works out well cuz if he works it right, # 7 could turn into #1 when he takes off the jacket. haha Win! Win! Sky…you’re right about NAVGL–there is definitely a similar sound to them both. And…I found the lyrics to Best Behavior. I really like the imagery. I can really feel David in the lyrics…he’s all about being real. I’ve never been a paint by numbers guy. When it comes to love, I draw outside the lines. Beauty’s never-ending, but I’m so confused . . .
It’s like you’re on a stage, but you got no part to play. You just keep on acting on your best behavior. Give me something real, not fake. You just keep acting on your best behavior. Please go on roll the credits, end the scene. If you’re not you, then how can I be me? Oh, don’t you think it’s time you dropped your guard? It’s all lights & camera, action, but all I see’s a fraction of who you really are. Girl, give yourself some time to breathe. So beautiful, without even trying. Enough of all of your charades. Why don’t you throw your script away? Did someone say Sayreville, pink shirt? I don’t need much reason so don’t get me started. OMGoaaash. WHERE IS THAT SHIRT? It was too big for him. He should auction it off for charity. I would out bid you all. I was there!!! Awesome night! He stopped singing during Barriers. Some thought he forgot the lyrics but that wasn’t it. He was so overwhelmed by the reaction of the audience. I honestly still think that he has no idea how much he is loved by his fans. Is that the shirt that was really red/white very small checked? Is this the concert that was supposed to be getting professionally taped? Love seeing him get the laughies. I just read that David will be in Dallas for a charity event on July 9th. He will be singing God Bless America at a celebrity baseball game! Kaycee#125 That’s great news! Do you have a link to the article? Ok, now it’s my turn to correct a common wardrobe misconception. He wore a black t shirt and black jeans. The lights made the shirt look blue sometimes, purple sometimes. Historical wardrobe sidenote of interest: He wore the same jeans the next night in Clarkston. Different shirt. White t shirt, black vest. again, any excuse will do. Betsy. Do you mean to tell me that that outfit in Grand Rapids was actually BLACK JEANS and BLACK T-SHIRT? How DID you survive such an attack? No sorry. No can do. Does this mean you have to buy Kaycee a coke now? Kaycee. Thanks for the lyrics! Boy, great imagery, you are so right. Hope we get to hear him sing it, so he can ‘make me understand it’ with all that beautiful emotion that flows through his little self! boy, how many people have we come across in our lives that are like this? these lyrics tell of games people play. One of the greatest quotes I have ever heard came from a marriage therapist, my ex-husband and I went to. (ok, “ex” tells you how that worked out!) She was great.very intuitive. After 2 individual sessions with him ,she ushered him out of her office, for the last time. Thanks for the link, Kaycee! If anyone is in Dallas on July 9th, it’s a chance to see David. Skydancer?? Betsy,Thanks for the wardrobe clarification. I was so sure that outfit was navy blue. So he wore a black tshirt and black jeans when you saw him?!?! Angelica the merciless, I shall purchase a 12 pk for all. Maybe even throw in an ICE COLD Diet Dr. Pepper. Oh my gosh! 🙂 He will be in my backyard, just for the seventh inning stretch? No N.A.? Why does it have to be 150 degrees here in July? Dr. Pepper Ballpark, eh? Dallas is not that far away…. Celebrating 10 years of star-studded celebs on the diamond, the Reebok 2011 Heroes Celebrity Baseball Game will boast a bundle of popular players on the mound Saturday, July 9, at 6 p.m. at the Dr Pepper Ballpark in Frisco (7300 RoughRiders Trail). The Larry O’Brien NBA Championship Trophy will be on display Saturday giving game goers the chance to shoot snapshots and relive the Dallas Mavs’ glory. 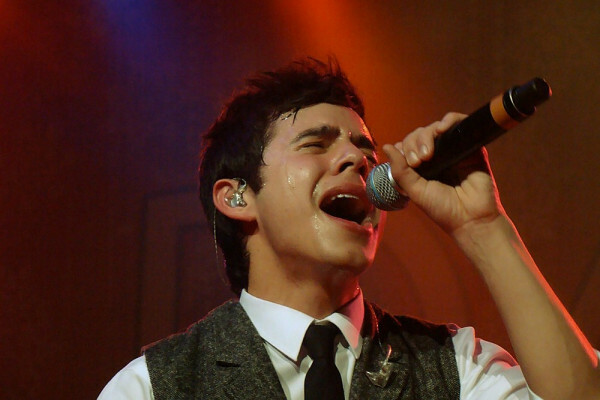 Plus, former American Idol runner-up David Archuleta will sing God Bless America during the seventh-inning stretch. … and many more at this family-fun event. Note: Roster subject to change. More players to be named. Tickets are on sale now for $5, $7, $12 and $15 at Ticketmaster (800-745-3000 or ticketmaster.com) or at the Dr Pepper Ballpark Box Office during office hours. Will call will open at 10 a.m. on Saturday, July 9. Tickets also will be available at the door the day of the game. Proceeds will benefit the children’s charities of The Heroes Foundation and The Mike Modano Foundation.